ProfeΒional ClaΒic Cat Litter is clumping cat litter with especially effective odour binding. ProfeΒional ClaΒic contains a biological odour neutraliser which does not only only cover smells but gets rid of them altogether! Apart from its extremely high absorption rate of approximately 380%, the added silicate in this bentonite cat litter effectively binds moisture. ProfeΒional ClaΒic with Odour Neutraliser unites all the advantages of clumping cat litter from bentonite with hygienic silicate litter and ensures a dry and clean, odour-free cat loo. ProfeΒional ClaΒic Cat Litter is also extremely low in dust production. 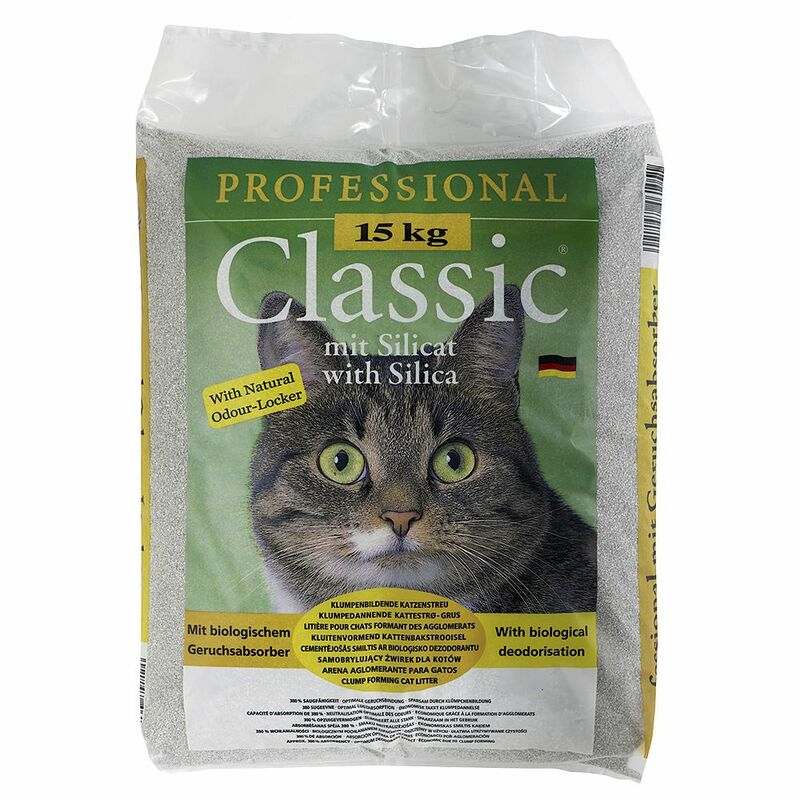 Its high absorption rates mean that it can be used extremely economically - 15 kg of ProfeΒional ClaΒic Cat Litter equate to approximately 50 kg of conventional litter! All advantages at a glance: Odour neutraliser for optimal odour control Clumping litter and silicate litter in one Optimal moisture absorption Does not stick to paws Especially low in dust Economical through clumping.